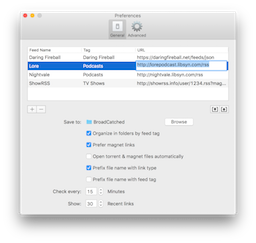 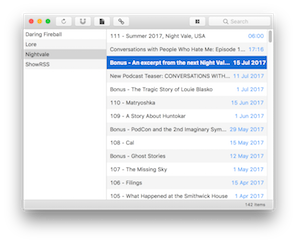 Perfect for downloading podcasts from multiple feeds, save weblinks to articles and magnet links. 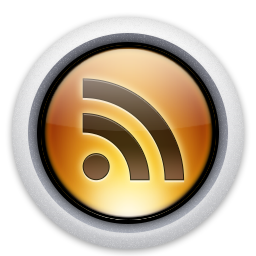 Add multpile RSS feeds, including the new JSON format to catch all their news items and download their enclosures, magnet links to files, or even the weblinks of articles. 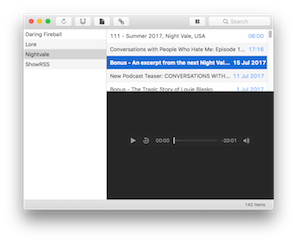 You can preview the webpage, or listen to the podcast right from within the app.